I woke up Thursday morning to the joyful sound of honking geese wafting through my window. Their “conversation” was filled with impatient exuberance and, as Joni Mitchell once wrote, “the urge for going.” A lone raven that often perches atop one of the spruce trees beside my house barked a string of surly caws to send them on their way. It was the first day of autumn—a time of passing, a time of new beginnings, a time of change. The Witches of New York begins on the cusp between seasons—when the heady, bright days of summer are giving way to autumn’s dappled, magic-inducing light. The veil becomes thin this time of year, allowing the spirits of our ancestors to come close enough to beckon us to listen. 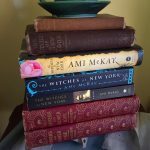 I did a lot of “listening” while writing Witches—to the characters on the page (and in my head,) to our dear honey bees as they buzzed around their hives, to the ravens that passed over our land as they flew to and from their rookery each morning and night. And when my brain needed a break from crafting story, I’d turn my attention to chasing after the stories of the people who inhabit the branches of my family tree. Filling in the blanks of their lives is immensely satisfying. A simple click here or there can lead to a mystery solved, or to another place and time. 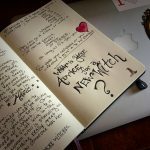 A good way into the writing process of Witches, I followed a genealogical trail that led me to 19th century Massachusetts and several family members with the name Hathorne/Hawthorne. Wouldn’t it be amazing, I thought, if I’m related to Nathaniel Hawthorne of The Scarlet Letter fame? With some diligent digging I found that indeed I am a 5th cousin, 5x removed. It’s a distant, sideways connection, but a connection just the same. When I’m finished, this book will make him roll in his grave. For the next few months I abandoned my genealogical pursuits for the novel (and other diversions like baking bread, or playing Settlers of Catan.) 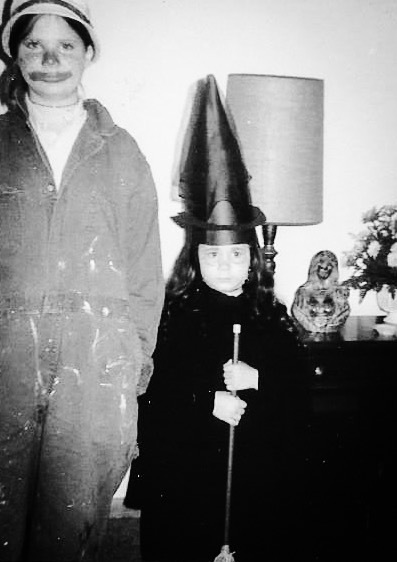 Christmas arrived and my dear husband, knowing I was still obsessed with my strange connection to Salem, gave me a copy of The Witches: Salem 1692 by Stacy Schiff. 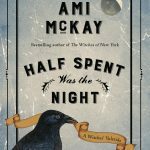 It’s a wonderful, well-researched account of what went on before, during and shortly after the trials. I immediately went back to my own research and found that Salem, as well as the names of other towns in the surrounding area was quite prominent in my family history. One town, Andover stuck out from the rest. I had a lot of family from there. Were they involved with the trials as well? 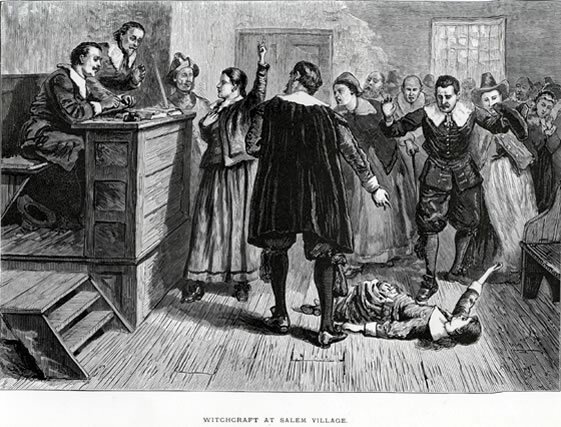 I soon discovered that Andover has the dubious distinction of having the most citizens (40+) formally accused of witchcraft (the majority of them women and children) and the most “confessed.” Many of the accused were imprisoned, and three were executed. I kept digging, clicking leaves, Googling until my eyes were red. 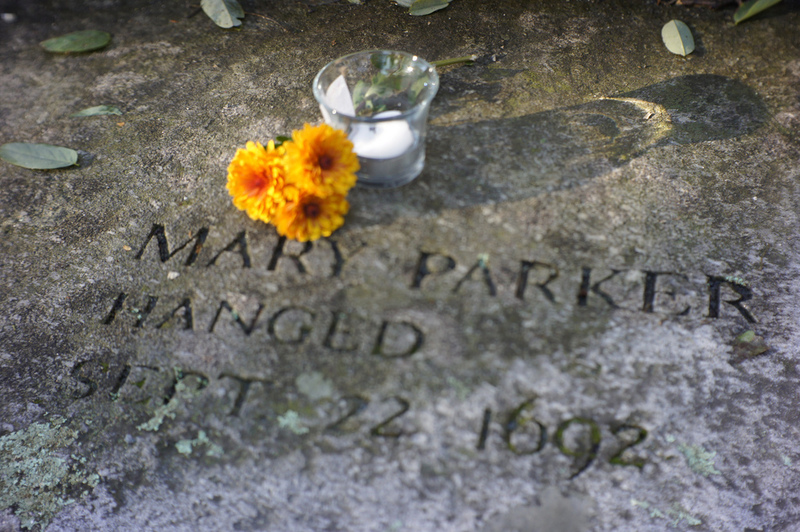 Among those accused in Andover was a woman named Mary Ayer Parker—my nine times great aunt. 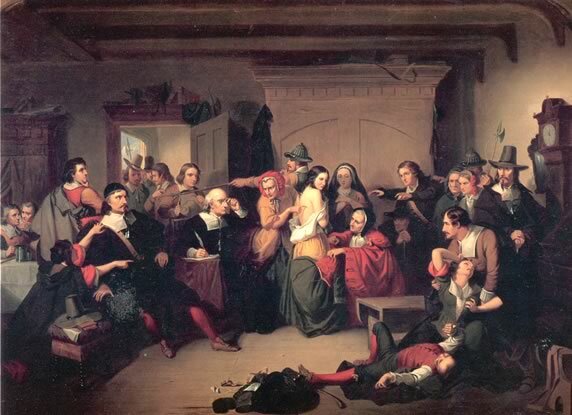 The 55-year-old widow was examined, tried, convicted, and then executed in September 1692. Her twenty-two year old daughter, Sarah was also accused. What had Mary done? (What had any of the accused done, for that matter?) Where was her brother, John, my nine times great grandfather? Both John Ayer and Mary’s husband, Nathan Parker were long dead. 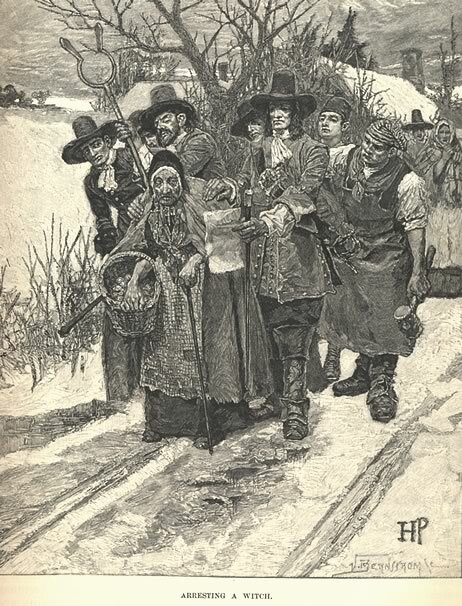 Widowed Puritan women were often targets for gossip and social machinations—some, simply because of their age, others due to the things they did to survive (many became healers or midwives,) and still others, like Mary, happened to own a fair bit of choice land. Historians have tried to dissect Mary’s case, but have found it quite puzzling. 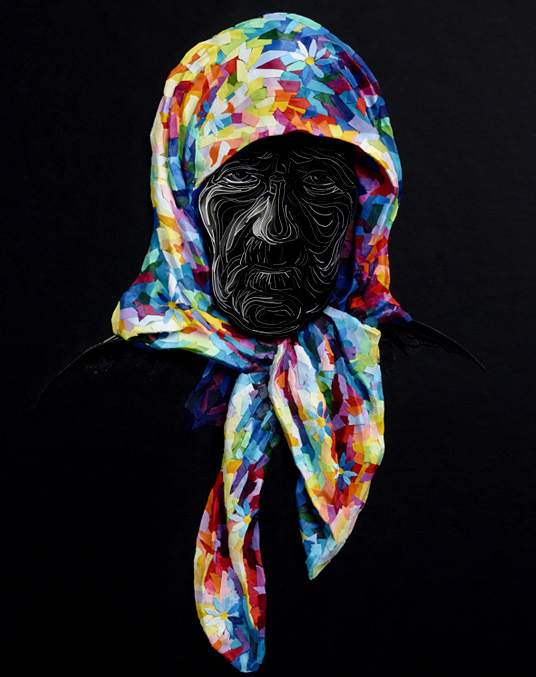 Unlike many of the accused from her community who confessed in hopes of having their lives spared, Mary denied the accusations. Maybe she was worried a confession would further implicate Sarah, or maybe she believed they’d gotten the wrong Mary Parker (there were three other women from the surrounding communities with the same name.) Perhaps Sarah had spurned the attentions of a suitor and he was out for revenge against both the young woman and her mother. 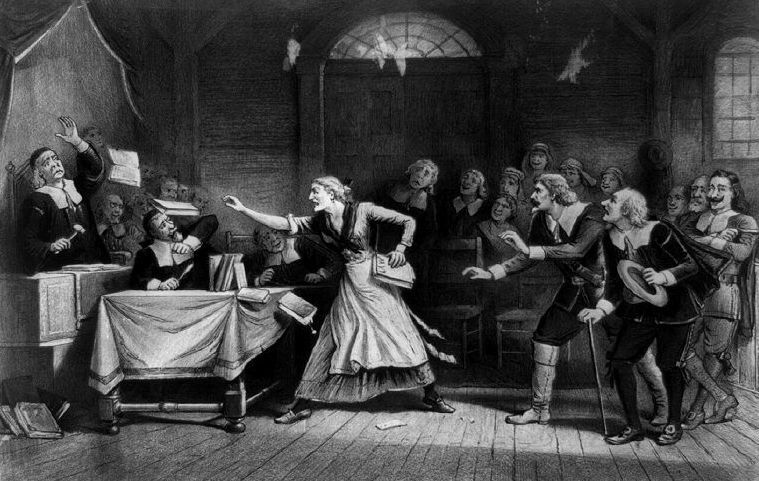 For whatever reason, Mary was accused by fourteen-year-old William Barker Jr. of having “afflicted” sixteen-year-old Mary Sprague with witchcraft. Eighteen-year-old Marcy Wardwell added to the widow’s pain by claiming she’d seen her “shape” among the afflicted. During her examination, just the mention of Mary’s name caused the afflicted girls (Mary Warren, Sarah Churchill, Hannah Post, Sara Bridges and Mercy Wardwell) to fall into fits. When she was brought in for the infamous “touch test” and commanded to lay hands on the girls, the young women were instantly “cured.” This was taken as sure proof of Mary’s affiliation with the Devil and her use of witchcraft. It was the first day of autumn. 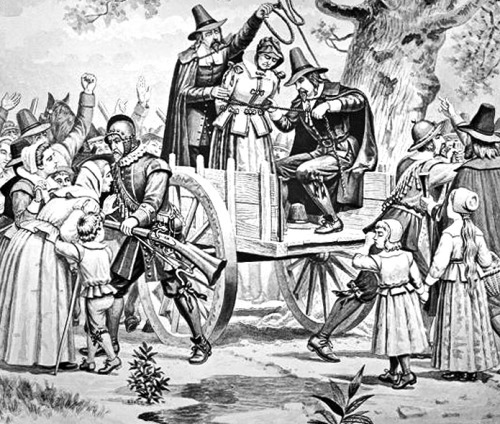 The executions at Salem ended that day, but the prolonged suffering they caused and our bewilderment at how any of it happened, remain. Luckily, the edict to halt the executions came down in time to spare Mary’s daughter’s life. No one knows what happened to Sarah after the trials. She seems to have simply disappeared. 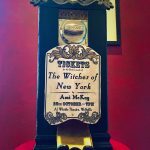 I dedicated The Witches of New York to Mary and I’m still searching for signs of Sarah. This year, on the first day of autumn, I spent the afternoon with a dear friend. 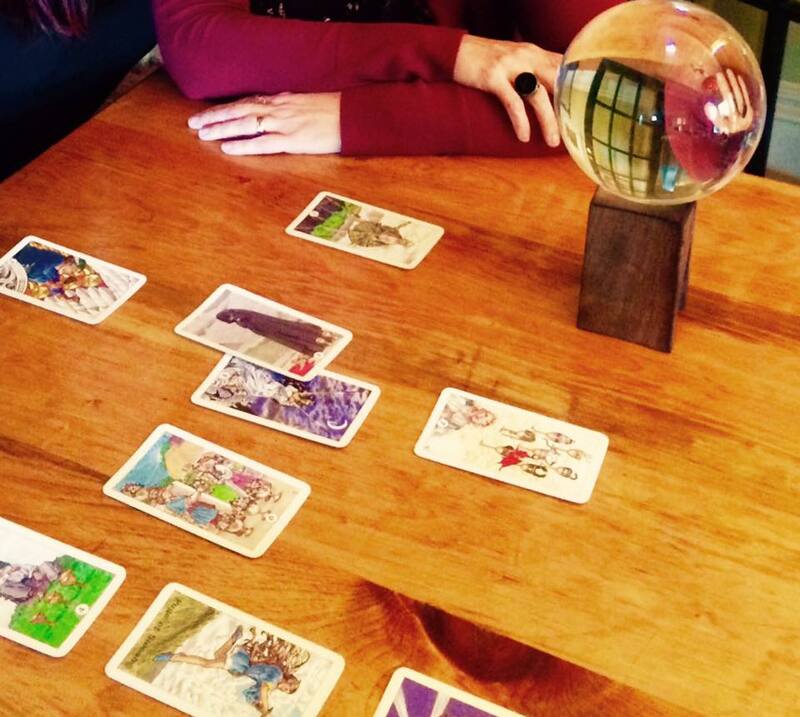 We drank tea in the company of a crystal ball (and perhaps a few ghosts.) I turned cards in honour of witches past and told tales of the future.